Winterbrook Estate Agents - News- Lesters Top Independent Survey Again! Lesters Top Independent Survey Again! 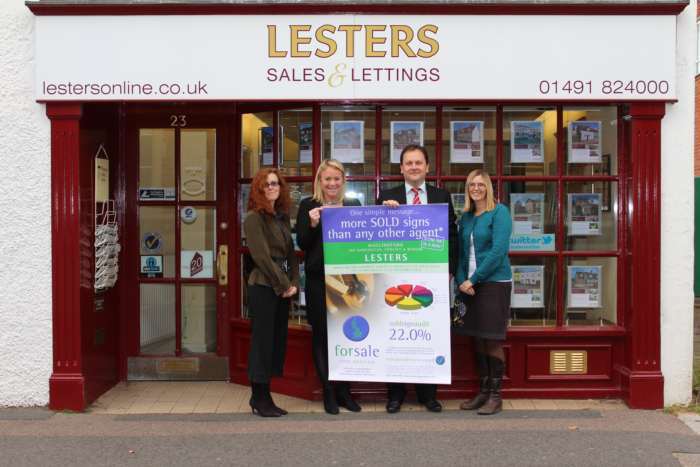 A recent Independent board survey has confirmed that Lesters Estate Agents once again has more sold boards than any other agent. `To have nearly 25 per cent of the sold boards in the survey, nearly double the next closest agent, is proof that our marketing works, All our staff live locally and are experienced in selling & letting houses in and around the area ` added Julian. Despite the reported uncertainty in the market, Lesters are pleased to report that properties in the Wallingford area continue to sell well. Julian added: `I think our location is the main factor that keeps our market strong’. `We deal with many clients from out of the area who need to move to Wallingford as it is within a good commutable distance of Oxford and Reading. Add to that the railway stations at nearby Didcot Parkway and Cholsey and you have an area that is desirable to many looking to relocate. Telephone: (01491) 824000 or (01235) 519888 or visit the offices at 23 St Martin’s Street Wallingford or 72 Broadway, Didcot.